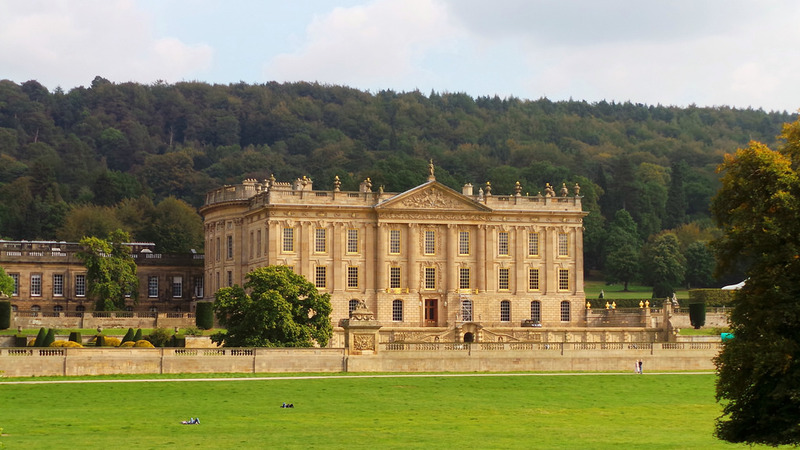 One of the most recognizable stately homes in England is Chatsworth House, the seat of the Dukes of Cavendish, and home to the Cavendish family since the mid-16th century. 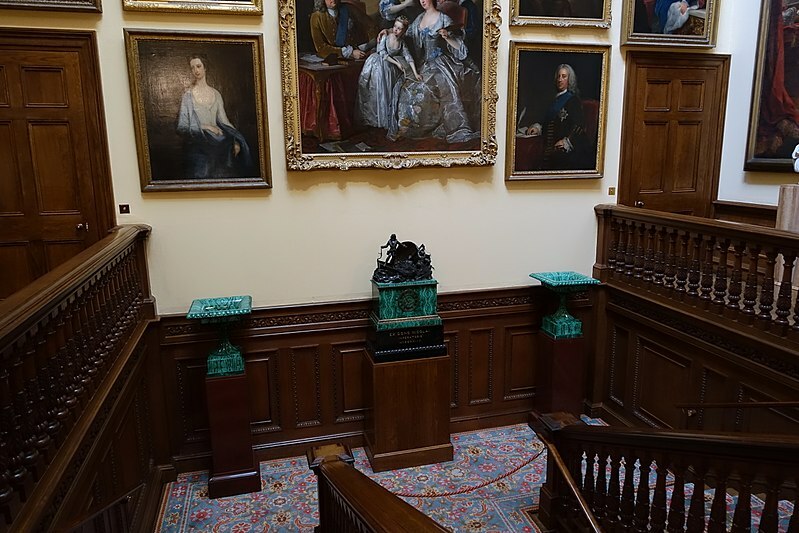 atsworth House is renowned for the quality of its art, landscape and hospitality, and it has evolved through the centuries to reflect the tastes, passions and interests of succeeding generations. 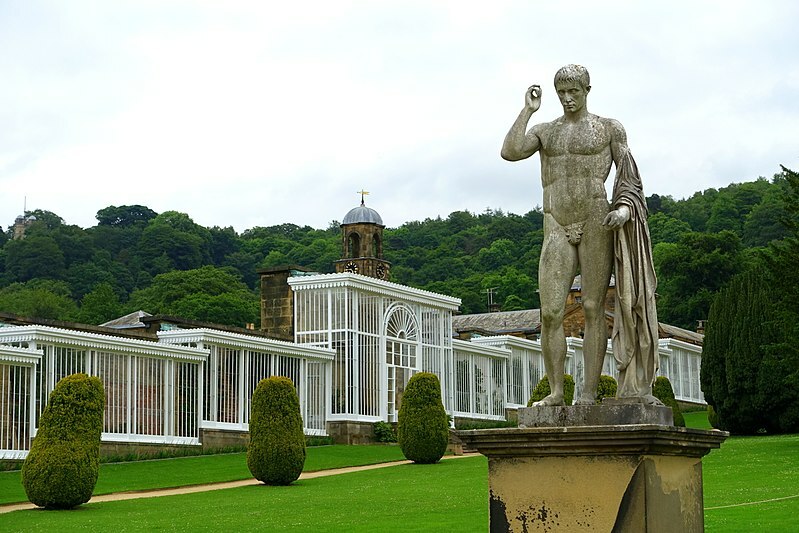 Today, Chatsworth contains works of art that span 4,000 years, from ancient Roman and Egyptian sculpture, and masterpieces by Rembrandt, Reynolds and Veronese, to work by outstanding modern artists, including Lucian Freud, Edmund de Waal and David Nash. 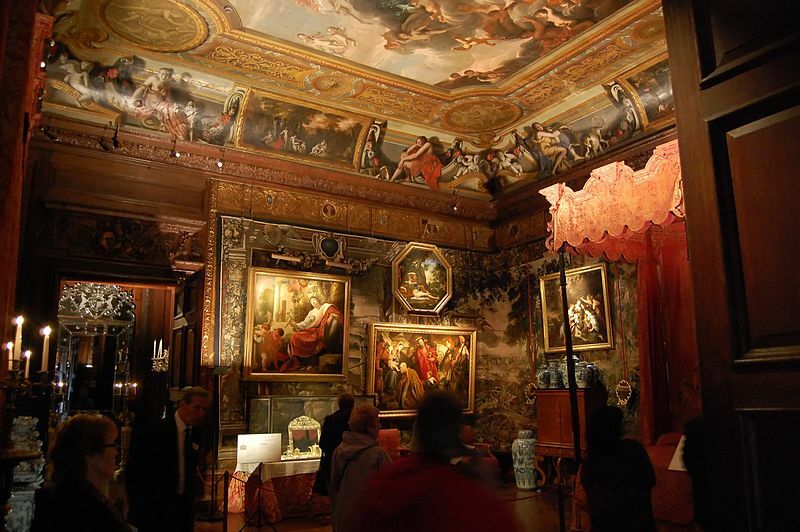 There are over 30 rooms to explore*, from the magnificent Painted Hall, regal State Rooms, restored Sketch Galleries and beautiful Sculpture Gallery. 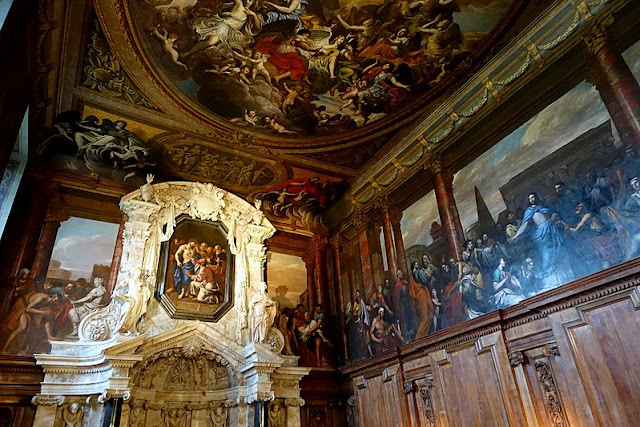 The Painted Hall is the house's top attraction. The 6th Duke had another opportunity to welcome Victoria in 1843 when the Queen and Prince Albert returned to be entertained by a large array of illuminated fountains. The Duke spent 47 years transforming the house and gardens. A Latin inscription over the fireplace in the Painted Hall translates as, "William Spencer, Duke of Devonshire, inherited this most beautiful house from his father in the year 1811, which had been begun in the year of English liberty 1688, and completed it in the year of his bereavement 1840". Chatsworth House was at her most glorious state in the 19th century with the extensive works done by the 6th Duke of Devonshire. In 1832, a young Princess Victoria visited the house with her mother, the Duchess of Kent and here, at the new dining room, was where the princess had her first experience of a formal adult dinner. 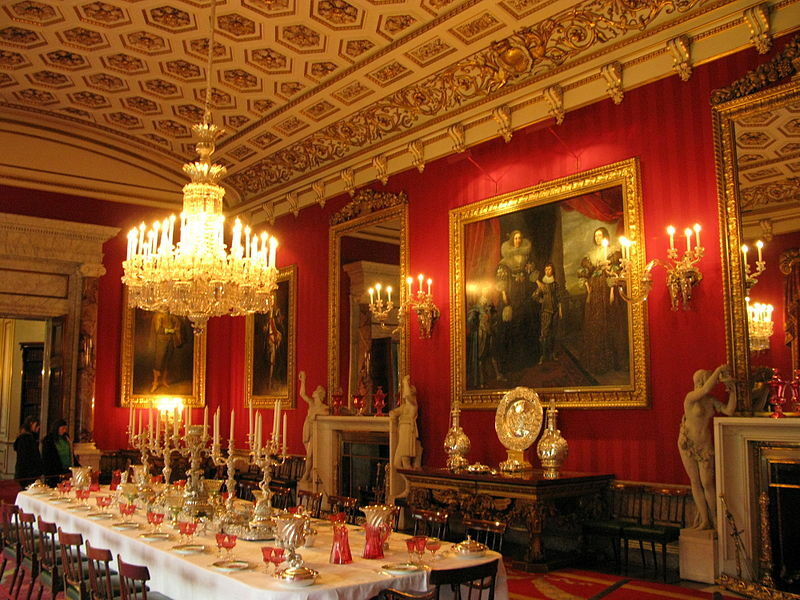 In addition to the stunning silver and crystal table settings, garnished with roses from Chatsworth’s own world-famous gardens, in the background you can see Old Masters paintings dating from the 16th or 17th centuries in heavy gilt frames and a chandelier and wall sconces that at the time (1810s) would have held candles. Chatworth's Library is home to over 30,000 books, which accumulated over the last four hundred years by members of the family. Autograph writings of the philosopher Thomas Hobbes, and Henry Cavendish, the scientist, are found here. 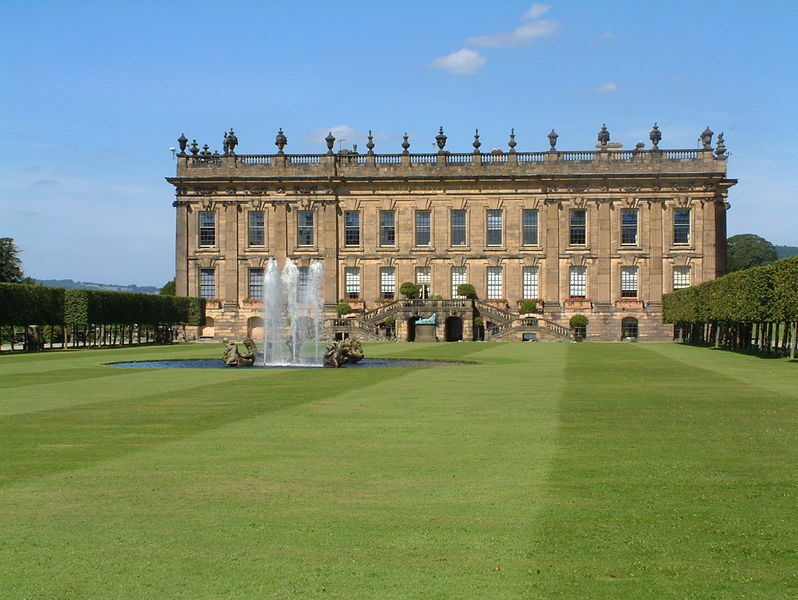 The 6th Duke of Devonshire, himself a bibliophile, acquired libraries to boost Chatworth's collection. The ceiling of Chatsworth House Chapel depicts the resurrected Christ, painted by Laguerre. The wall paintings also show the life of Christ and above the altar is the painting of doubting Thomas by Antonio Verrio (1639-1707). 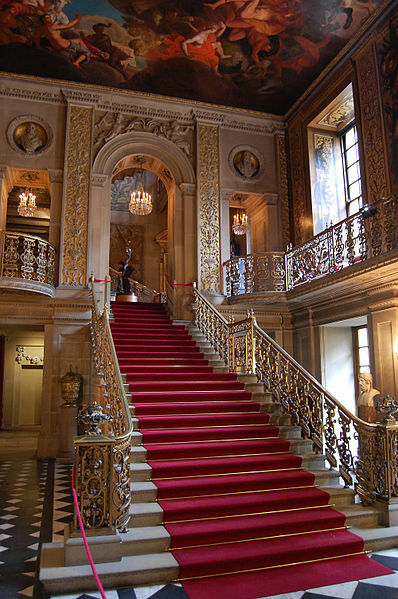 The house's baroque state rooms were a project of the 4th Earl of Devonshire. A grateful William of Orange elevated his position in the peerage, making him the 1st Duke of Devonshire. 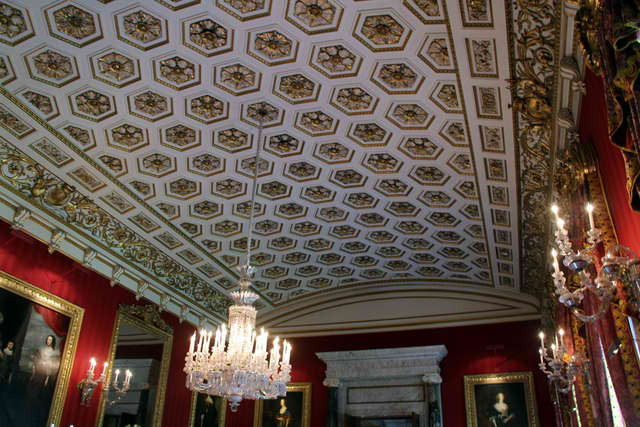 The State bedroom, with its dramatic painted ceiling, is considered as the most elaborate bedroom in the house. The Marquis and Marchioness of Normanby's bedroom. The 6th Duke of Devonshire was fond at throwing elaborate parties and balls in the house, thus, elaborate entertainment are also at hand. To accommodate a huge number of important guests who frequented Chatsworth, the duke converted the east side of the house into guest bedrooms. 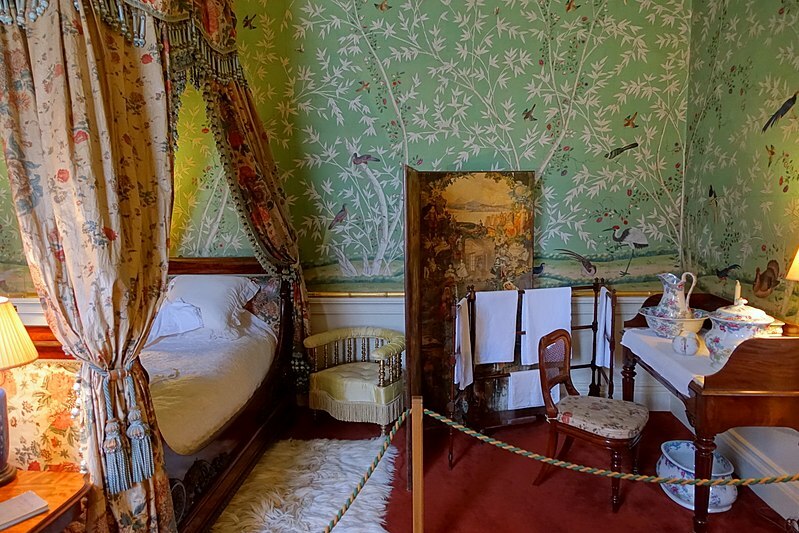 These rooms, like the ones occupied by the Marquis and Marchioness of Normanby (above) have Oriental touches. The wallpapers and fabrics are Chines-inspired, typical of Regency era. 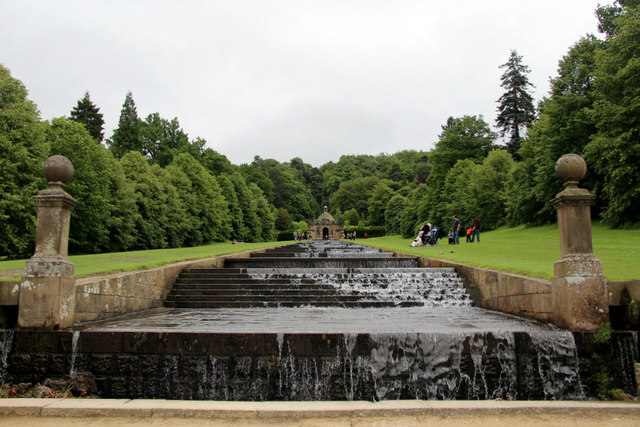 Chatworth's garden is another favorite attraction, welcoming over 300,000 visitors a year. 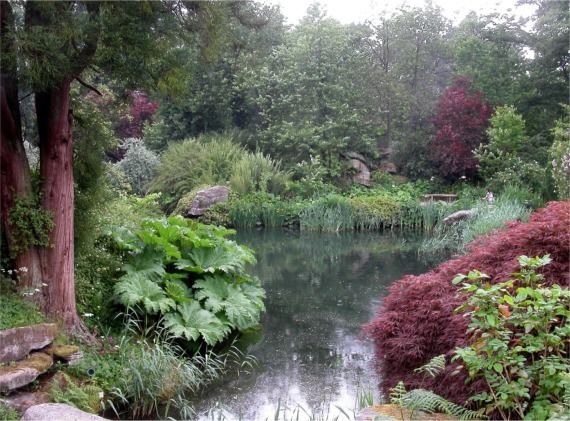 It is famed for its rich history that spans from Elizabethan times, the historic waterworks and sculptures, Victorian rock garden and maze, and the many activities that this 105-acre garden has to offer. One of the garden sculptures that scatter in the gardens of Chatsworth.